Move in Ready!! 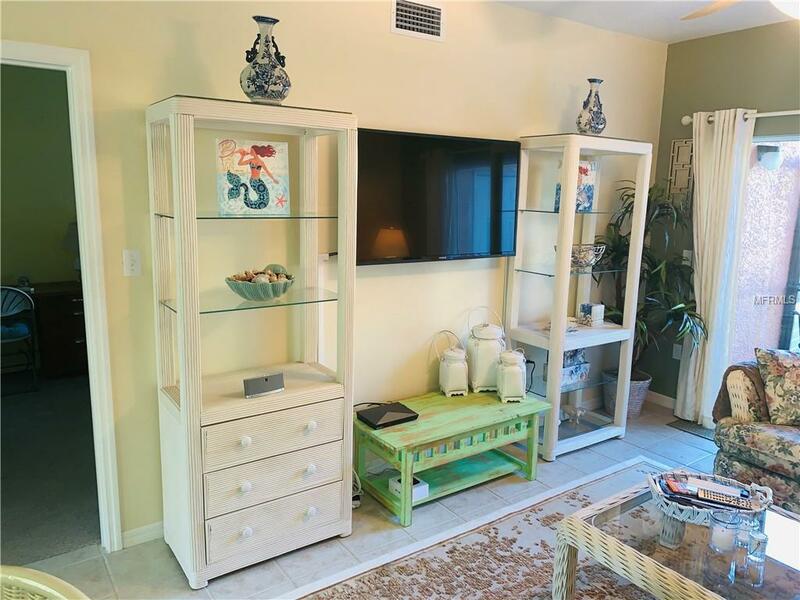 This meticulously maintained newer constructed (2002) 2 bed 2 bath condo is BEING SOLD FULLY FURNISHED and is located in the heart of Dunedin and is just minutes from charming Downtown Dunedins restaurants, breweries, shops, marina and entertainment. Just bring your toothbrush to start living the Florida lifestyle!! 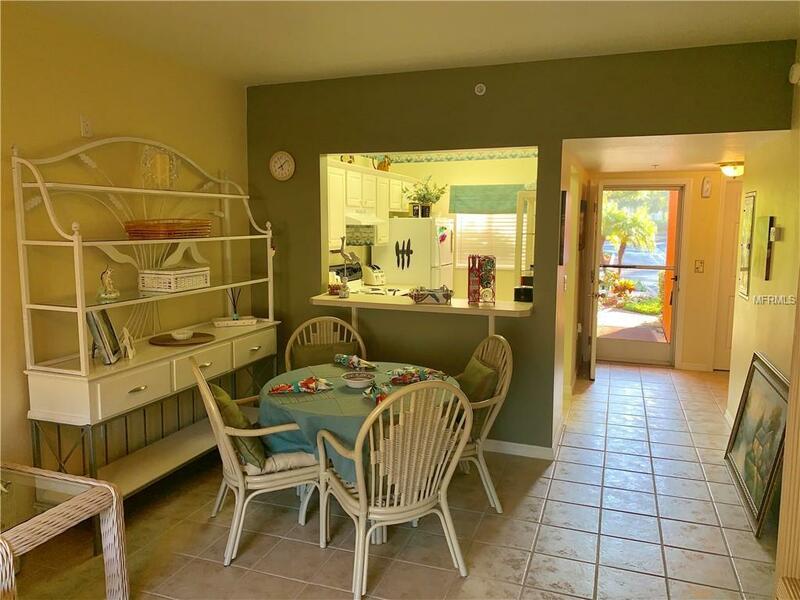 There is a private screened in patio that overlooks a tranquil pond/fountain no rear neighbors! This building is considered a premium building due to its unique quiet location in the complex. 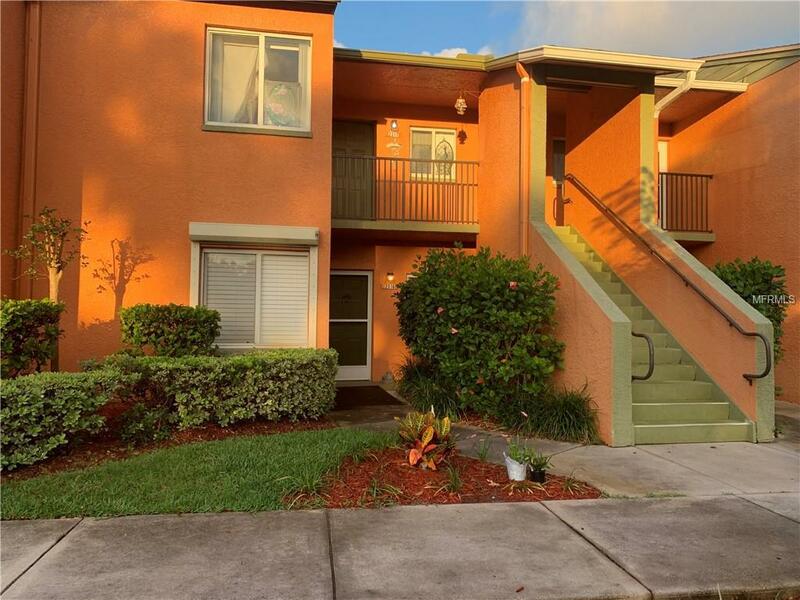 This condo features newer flooring, upgraded kitchen and baths, inside washer/dryer, hurricane shutters, your own covered parking space and is pet friendly. Community features included in the low maintenance fee are pool, clubhouse, ground/building maintenance, building insurance, roof, water, trash and basic cable. 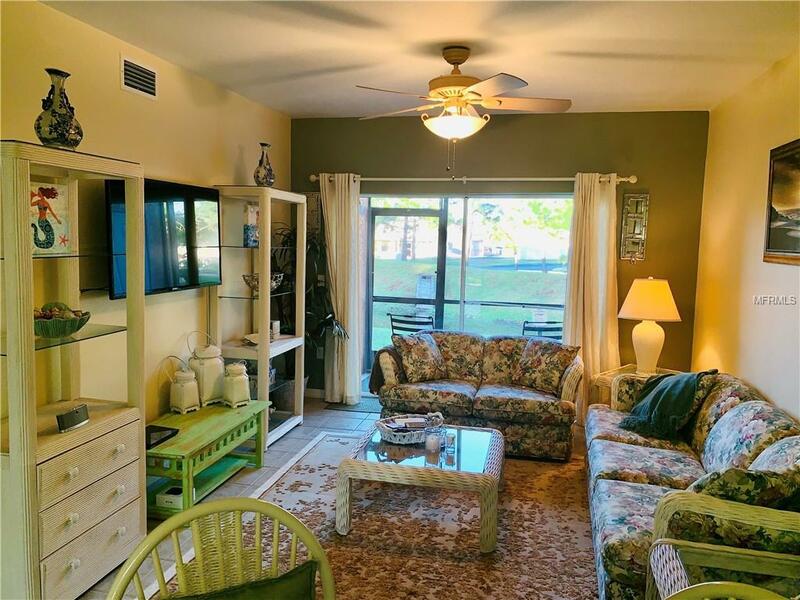 If you want to experience the Florida feel this condo would be perfect for for you or as a seasonal home. Priced to sell quickly, will not last long! Schedule your private showing today!